From left to right: Roberto Gonzalez , Olivier Grimaud , Christine Lietard, Olivier Spicker , Samtak Joo , Eric Suszylo, Matthieu Simonnet. 18 years’ experience in the automobile industry. International experience managing plants in the US, Mexico and Europe. 15 years at Carbone Lorraine in production, processes, product engineering, sales and general management positions. 25 years of experience in the US, France and Italy. Senior Finance Executive in finance, consolidation, administration. Over 20 years’ experience in sales, solid international experience, based in the US. 14 years’ experience in the automobile industry within Carbone Lorraine. Master of Science in Electrical Engineering from National Polytechnic Institute of Grenoble (INPG). After 18 years with Carbone Lorraine, Christine has become a world expert in the domain of Graphite and its application to electrical engines. 23 years of experiences, worked in global accounting firm of KPMG as a CPA till 2001 and then moved to automobile industry. 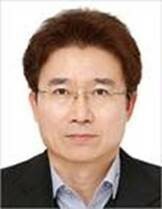 Worked in ZF Korea till 2006 and then has been working as a GM in carbon brush plants in Daegu Korea and Tianjin China. Bachelor in Business Administration (PNU Busan). 20 years of experiences in the automotive industry with various position at Ford, Carbon Lorraine and now at AVO Carbon. Roberto has a bachelor in Industrial Engineering and a MBA from Universidad Del Norte in MONTERREY, MEXICO.